Laleham Abbey, a Grade II* listed building was built in the Palladian style by renowned architect John Buanarotti Papworth (1775-1847) between 1803 and 1806. It was known at the time as Laleham Park but would soon become known as Laleham House. The house is neo-Classical with a Doric portico. Inside are marble floors and columns, a semi-circular staircase and a cupola. It was built as a second home for Richard Bingham, the 2nd Earl of Lucan (1764-1839). John Buanarotti Papworth was also responsible for alterations carried out on the house between 1827 and 1830. Following the break-up of his marriage the 2nd Earl spent little time at Laleham House. He rented it to an exiled Queen Maria II of Portugal who lived here from 1829. Following his death in 1839 the house passed to George Charles Bingham, the 3rd Earl of Lucan (1800-1888), who re-engaged John Buanarotti Papworth to complete further alterations including new stables and a farm. George, an army officer, served in Turkey and the Crimea before reaching the rank of field-marshal. He commanded the cavalry in the Crimea and gave the much-disputed order for the historic advance of the Light Brigade at Balaclava, from which only 195 mounted men out of 673 returned. Laleham House became the property of Charles George Bingham, the 4th Earl of Lucan (1830-1914), in 1888. Bingham was beset with financial problems for most of life and almost declared bankrupt in 1899 and 1913. He was seen to live a lifestyle that his income could no longer support. He raised money by selling large portions of the estate but it proved to be a miserable existence. However, he was a generous supporter of community affairs and gave Laleham land for use as a village hall and allowed the extension of the local church graveyard. He was also a friend of the Prince of Wales, later King Edward VII, who regularly visited the house. The house was inherited by George Charles Bingham, the 5th Earl of Lucan (1860-1949). He’d taken control of the Lucan estates in 1900 but spent little time at Laleham House. In 1915, a year after his father’s death, he rented the house to the Grand Duke Michael of Russia and the Countess Torby for the summer. The 5th Earl formed the Lucan Estates Company in 1925 who were keen to obtain much needed income from their assets. Laleham House was sold to Lord Churston in 1928. John Reginald Lopes Yarde-Buller, 3rd Baron Churston (1873-1930) arrived at Laleham House a broken man. A serious fire had destroyed his Lupton House in Devon in 1926 razing the house’s upper-storey and interior. Some of the family heirlooms, including valuable paintings and pictures, were saved and removed to adjacent stables. However, a second fire in 1928 meant these were also destroyed. 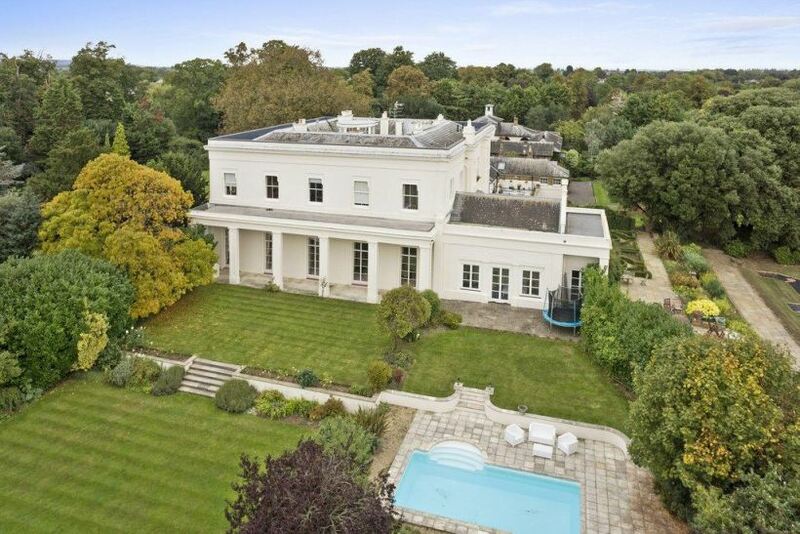 It is not improbable that Lord Churston bought the house and its contents outright. He would live at Laleham House for two years until his death in 1930. In 1932 his son, Richard-Yarde-Buller, 4th Baron Churston, was reported to have sold valuable works of art at Christie’s. These were treasures originally bought by Lord Lucan for Laleham House. Sometime after the death of Lord Churston the house was used by nuns of the Sisters of St Peter the Apostle, Westminster who used the house as a convent school. It was now that the house would be known as Laleham Abbey and most of the surrounding land used as a public park. 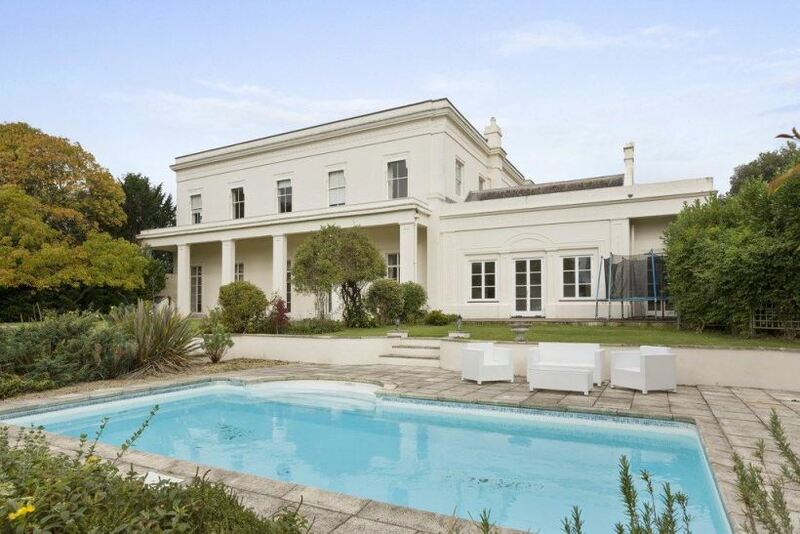 Laleham House was eventually purchased by a property developer and converted into private apartments in 1981. Note: The Lucan family’s notoriety was renewed after the disappearance in 1974 of Richard John Bingham, 7th Earl of Lucan. In June 1975, in his absence, a coroner’s jury found that he had murdered his children’s nanny, Sandra Rivett. There have been no confirmed sightings of Lord Lucan since his disappearance, and he was declared legally dead in February 2016.